Tantangara river has improved with more fish moving about after the recent rain not much but it did the job. Moonbah river, is still fishing well on dry’s the water is clear and fresh and the grasshoppers are about. The afternoon fishing is the best time. Murrumbidgee River above and below Adaminaby is fishing very well most of the fish have been caught in the afternoon from around 5pm till dark. Remember fishing the rivers are good but if you go out in the middle of the day it’s hard very hard pick your times you will have fun!!! 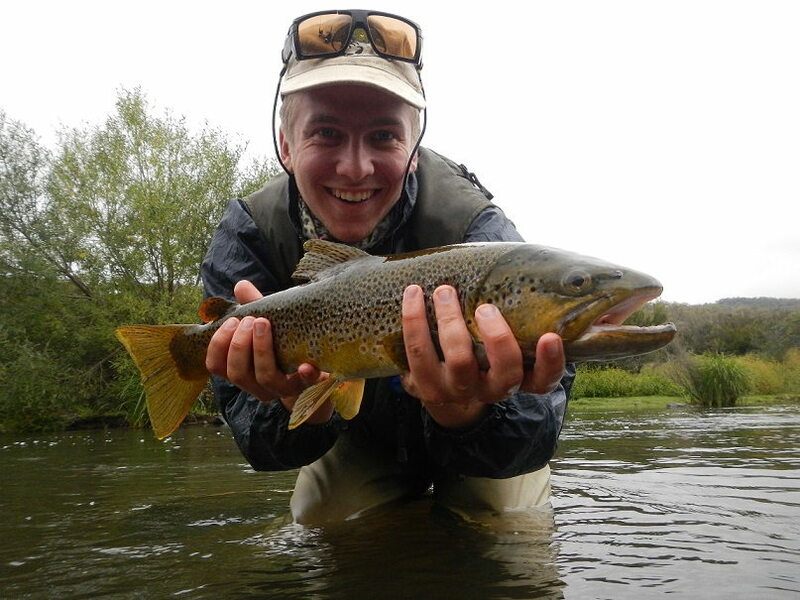 Here's a photo of a good brown I picked up in the bidgee. Polaroided in a rapid pocket water and brought undone with a very heavy hare's ear, fish was in good nick and put up a massive fight, didn't like the net at all! This was low down on the bidgee so the water was up a bit dirty with the rain but fished higher up too were the water was clearer and spotted a few similar fish, couldn't get a take in the slower clearer water, good fun though. Middling bank, has been getting better every day with some good rainbows coming in close to the shore on both sides of the Bay. Later in the afternoon get the easterly winds behind your back results have been good. Seven gates, Mix results have been coming in with fish very active in one Bay and others not a thing. Best walk around and watch and look for the action. WAINUI Bay, one person said up your tippet. The rainbows are hitting hard and fast the Mud eyes are everywhere and the fish are moving in close. 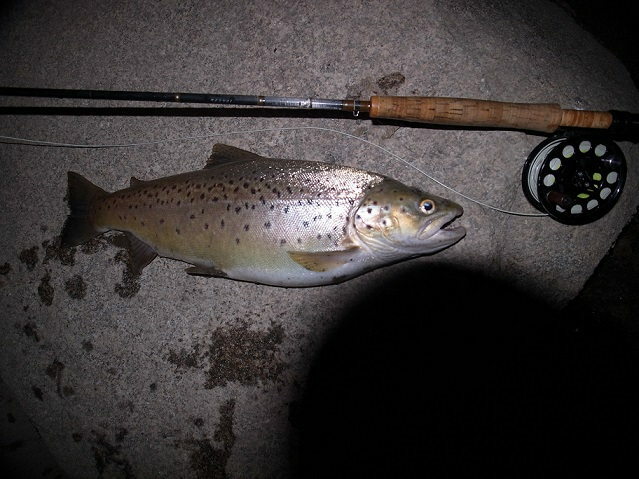 Tantangara Dam, good reports have been coming out of the dam with some good browns after dark. the best lure has been the strike pro blades in Gold, silver, brown, black, try them you will be surprised. Lures, Celtas and Rapalas have been working well if you haven’t tried these lakes get up there. best bait is worms and Mud eye's. Best areas are seven gates, Middling bank, old Adaminaby, anglers Reach and Rushie’s bay.